Hiking is a low impact endurance workout that offers huge mental and physical health benefits. Unlike physical workouts which happen indoors, hiking will demand more from your body and require an outdoor skill set that you might not have yet . But here's the best part: Hiking gives you big doses of fresh air, sunshine & rain, plus the mental clarity that comes from physical exercise. So enjoy these hiking tips, gathered into one spot for your convenience. Ingest, digest (and savor) these hiking resources at your convenience by bookmarking your favorite pages. and timing of a hike (before you arrive at a trail head, during your hike, and afterwards). use these hints and tips on what you need to consider before you venture into the great outdoors. There's no more efficient way to share the wealth of detailed, trustworthy hiking information on one page than to provide a list, by hiking categories. Let's start off with the best hiking tips on how to get ready to hit the trail. 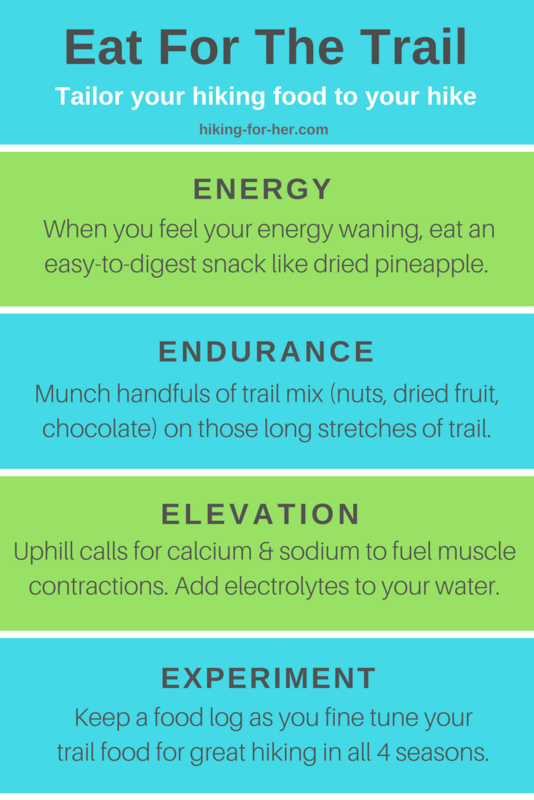 Click on this infographic to find even more tips on maintaining your energy and stamina on the trail. Many of the tips offered for day hikers work for longer trips, too. But here are specific tips and trail techniques devoted to hikes which involve staying overnight, or night after night, outdoors. Sleeping bag or backpacking quilt? Do you need a bear canister? Should you bring survival gear? 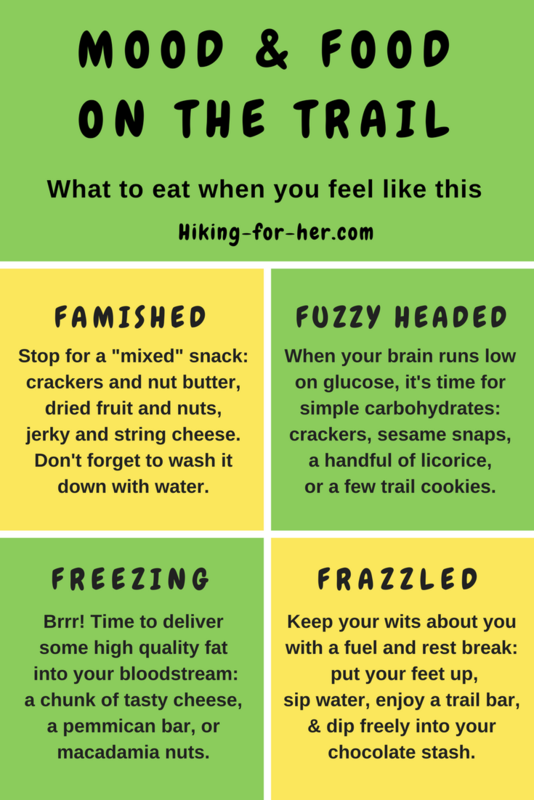 Click this infographic for lots more hiking food tips! If you're here for some quick suggestions for the best hiking destinations, dip into this hiking treasure trove. Mountain hiking tips will be vastly different compared with forest hiking tips, so if you're headed into new territory and unfamiliar terrain, pay close attention to which tips best fit your hiking plans. Too many best hiking tips to read on the screen? Don't want to click around and book mark everything? Don't even know where to start?? 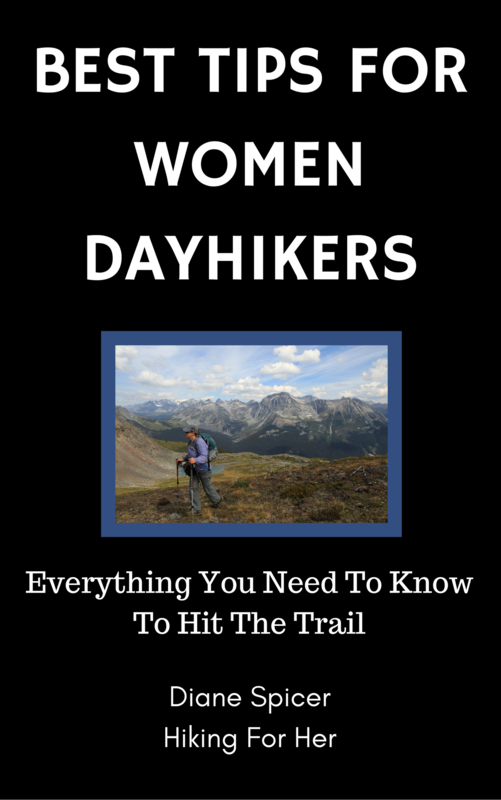 Get all of these tips, and lots more not found on this website, in one convenient package called Hiking For Her's Best Tips For Women Dayhikers book. Available from Amazon in paperback and electronic versions for your convenience. A good way to approach this info-packed page is to bookmark it and come back often to explore these best hiking tips. Here's how to find each of those trails to the freely flowing hiking tips at Hiking For Her. 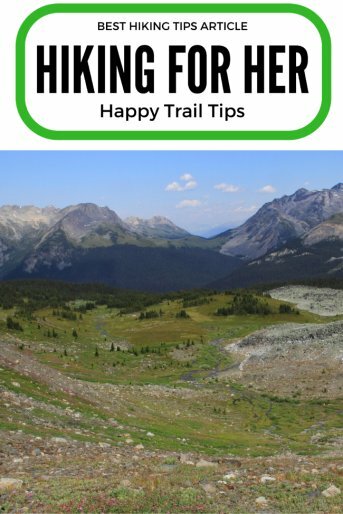 The fastest way to read through the best hiking tips is to read the Hiking For Her book! Consume it at your leisure, one organized chapter at a time. Hop around by topic, using the table of contents. Use it as a reference book when you run into problems with your footwear, gear, or trail performance. Enjoy all of the bonus material not found on this website. Available in Kindle format or paperback, through Amazon! This is super easy to set up - it's your own digital free daily news. See the little orange box over there on the navigation bar, next to Most Recent Hiking Tips? If you're on a mobile device, use the Navigation link to find the box. Click on it to set up your RSS feed. What's not to love about fresh hiking advice delivered to your in box in small, bite sized pieces? In the monthly free Happy Trails newsletter, announcements and offers, deals and trail tips are delivered to your in box. Most of the content is not found elsewhere on this website. 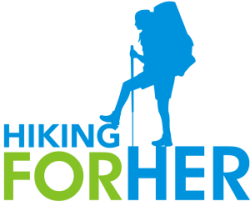 Hiking For Her stays current in the hiking world's developments, so this is your chance to get the hiking scoop month by month. Your email address is closely guarded and used only to send you Hiking For Her tips. Sign up is easy! Just pop in your email address, and watch your inbox for the next edition. Opting out is also easy, using the directions given in the newsletter itself. And just to reassure you again, your email address is never used to do spammy, inconsiderate or rude things. While you wait for the next edition, sent near the end of each month, you can enjoy these Happy Trails back issues. A weekly dose of Hiking For Her updates. Weekly email will keep you in the loop about great gear deals and coupon codes, giveaways, resources and hiking news. Opt out is easy, just use the "unsubscribe" link at the bottom of the email. reach your lofty hiking goals? Hiking For Her offers one-to-one hiking coaching and mentoring. Why do you need best hiking tips? Granted, you can control some of these factors, but not all, and not all of the time. And don't overlook the obvious: the gear you're using. Taken together, these factors play into how effective your hiking techniques may or may not be for the hike you're planning. An "easy" 5 mile loop trip on a relatively flat, well-marked trail can become a nightmare if a sudden storm whips up, your boots have rubbed your heels raw, and you skipped lunch. On the other hand, you can enjoy a 12 mile hike with an elevation gain of 3000 feet in sub-optimal weather by wearing the right hiking clothing, keeping hydrated, warm, and snacking appropriately every few hours. Now is a good time to do a little myth busting about some of the hiking tips floating around out there. Click here to go the home page, where you'll have lots of choices for best hiking tips from a seasoned hiker. All of these best hiking tips offered freely here were earned through blood, sweat, tears and triumph during my decades as a hiker. There is no shortage of hiking myths floating around about "real" hiking. You have to break a speed or endurance record. You have to go it alone every time. Hikers have to look a certain way, weigh a certain amount, and dress in cute hiking outfits. If you haven't started hiking in your twenties, it's too late. And lots more myths that you should avoid. You might not even notice that you've bought into these false statements. No hiker, newbie to trail hardened expert, deserves to be burdened by these myths! Over the next 5 days, I can share 3 of the most common hiking myths with you. I'll also share 2 hiking habits I recommend to every hiker, with best hiking tips to get you started down the right trail (so to speak). 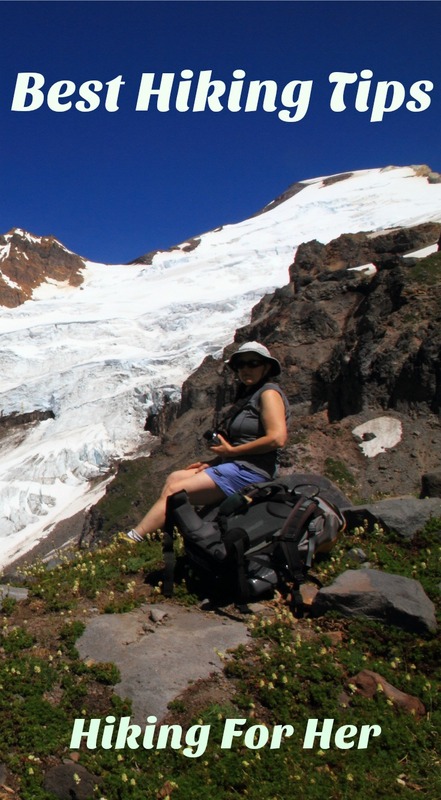 You might already be displaying these “real hiker” traits! If not, it's time to add them to your repertoire. *What exactly does a “real” hiker look and act like? *What hiking tips do they use to make trail time more enjoyable? *Am I a real hiker? Signing up is free, fast, and will give me permission to send you one mini-lesson each day for the next 5 days. The first “real hiker” myth will land in your in box. Then think it over on your daily hike/walk/swim/bike ride/run/whatever gets you outside. Five days X five minutes = less than half an hour. In less than a week, these best hiking tips will help to make you a stronger hiker by replacing myth with facts. Who knew there was so much to think about as a hiker?? To be the best hiker you can be, take the time to develop your strengths. The tips and tricks on this website will get you off to a strong start. And your trail time will be richer for it. Contact me if you have questions about hiking. There is one more way to keep up to date with Hiking For Her, using social media channels. You can check in with what's going on in the hiking world on my Hiking For Her Facebook page, and my Pinterest page, too. HFH photos are posted on Instagram as well.